First bio-diesel pump in the state will come up at Pimpri-Chinchwad by December. The pump will be operated by Pune-based company My Eco Energy. Santosh Verma, Director of the company, said that bio-diesel would be generated by the company by treating waste material, including vegetable oils and animal fat. Verma, who also runs a similar business in the United Kingdom, while addressing the media in the city, said that the bio-diesel plant would be set up at an investment of Rs 250 crore. "India spends Rs 92,000 crore on diesel subsidy every year, which is a great loss to the exchequer. With the country being a signatory of the green fuel treaty, by next few years around 20 per cent of the diesel usage will be replaced by bio-diesel," he said. States like West Bengal and Karnataka already have such set ups, but this would be the first time that such a pump would be used for domestic consumption. "We are trying to tie up with public transport bodies for its use. Later on, we will target other vehilces," he said. Pune-based My Eco Energy is entering the bio-diesel market and the company plans to manufacture the fuel in three locations across the country, and also retail it. The company is currently in talks to acquire three existing bio-diesel manufacturing units in Andhra Pradesh, Punjab and Maharashtra and expects to close the first deal in the next 45 days, Santosh Verma, one of My Eco Energy’s three promoters, said. Feedstock for the bio-diesel, which will retail at around Rs 60 per litre, will be waste left after the process to make edible and non-edible oils. “We plan to invest Rs 550 crore for the acquisition, upgrading the facilities and setting up of infrastructure,” he said, adding that the funds will be raised through a mix of debt and equity. By 2015, the company plans to increase the capacity to 10 lakh litres of bio-diesel per day through their own and contract manufacturing. To begin with, the fuel is to be retailed in Maharashtra through 20 distribution centres and 250 filling stations that will be established by March 2015. The first of the filling stations will be up by the end of this year in Pune. The fuel can be used in cars, buses and commercial vehicles, industrial vehicles, tractors, power generators and also boats that use regular diesel, Verma said. The promoters already have Go Fuels, a UK-based company that makes and retails 50,000 litres per day of bio-diesel, and has a turnover of Rs 50 crore. Pune based My Eco Energy company has recently announced its foray into Indian Bio-Diesel market. The company will manufacture, distribute, market and retail bio-diesel made from oil-waste. With no modifications required in a diesel engine, this bio-diesel will not only help in reducing the carbon footprints by 70-80% but also the dependence on traditional fuel mediums in India. Announcing My Eco Energy’s foray into the Indian Bio-Diesel market, Santosh Verma, Director, My Eco Energy told Clean India Journal, “Looking at the current scenario of the dependency on non-renewable fuel systems, there is a growing demand for a non-petroleum based fuel. 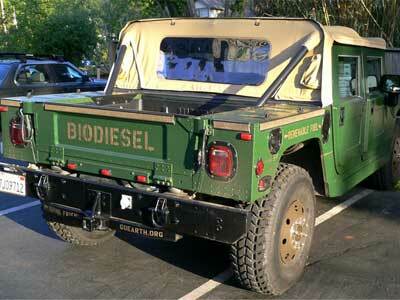 It is this demand that Bio-Diesel by My Eco Energy addresses. The company is in a process to acquire bio-diesel plants across Maharastra, Andhra Pradesh and Punjab. While the necessary investments will be made through 3:2 mixing of equity and debt, present focus will be on Maharastra only. To attain a significant customer base, My Eco Energy has outlined a strategic marketing road-map to reach the domestic market segments. Presently, My Eco Energy primarily caters to Maharashtra and other neighbouring states in the initial phase with operations spread across 20 distributorship across Maharashtra. Future plans include extending its network force to over 250 dealer owned retail pumps in Maharashtra within one year. NEW DELHI : In one of the biggest initiatives for bio-fuel production in the country, Indian Railways is poised to set up four bio-diesel plants costing about Rs 120 crore. While two bio-diesel Esterification plants are going to be commissioned at Raipur and Chennai during the next two years, the other two units will be set up subsequently, a senior railway ministry official said. Each plant, estimated to cost around Rs 30 crore, will produce 30 tons bio-diesel per day, which means more than 9,000 tons a year, the official said. Produced from waste oil, fatty acid and non-edible vegetable oil, bio-diesel will be blended with the HSD oil for running locomotives. KOLKATA : The Biotechnology Board in West Bengal has taken an initiative to produce bio-diesel from seeds of jatropha plants. The board has decided to set up a park dedicated to jatropha plantation at Salt Lake. The park will come up in Salt Lake. This site has been selected because land in this area will be freely available from the state department of planning and development. The park, besides growing jatropha trees, will also house a pilot processing plant for extraction of crude jatropha oil and later for its conversion into bio-diesel. The board has roped in the West Bengal Technical University (WBTU) and the mechanical engineering department of Jadavpur University as technology partners. The latter has been asked to develop expeller machinery for the processing plant. WBTU has agreed to provide an initial fund of Rs 2.36 lakh. "The fund will be utilised for jatropha cultivation, which is likely to start from October. Officials said the board is expecting further financial assistance from the departments of planning & development and science & technology," said Prabir K Bose, a faculty member of the mechanical engineering department of Jadavpur University, and chief consultant of the project. The park will serve as a model of a cultivable bio-park. Unemployed youth will be trained for processing bio-diesel through the pilot plant. Since it takes three-four years to get seeds from jatropha saplings, it has been decided that vegetable oil will be produced during the gestation period by purchasing seeds from outside, said Mr Bose. At present, experiments are on at various levels to produce bio-diesel from jatropha seeds for lighting stoves, lamps, running pump sets for irrigation and locomotives. Jatropha cultivation and production of biodiesel are already underway on the railway land at Kharagpur in the state. The project has been taken up by the South Eastern Railway. The division has planted about four lakh jatropha trees in over 200 hectares. West Bengal pollution board has asked all telecom towers to use at least 30% biodiesel in their generators. Kolkata: Producers of biodiesel, banned from selling the fuel as a transport fuel, are looking to enter long-term supply arrangements with telecom tower operators, who use diesel gensets for power backup purposes. India has more than 20 biodiesel producers with a combined capacity of 1 million tonnes a year, said Sandeep Chaturvedi, president of the Biodiesel Association of India. They have invested a total of about Rs1,200 crore on building capacity and brought 700,000 ha under cultivation of jatropha, a key feedstock for biofuels. But production for the year ended 31 March was only about 80,000 tonnes, sold almost entirely to commercial establishments that use gensets. The fall followed a petroleum ministry directive in March 2009 asking state governments to ensure that biodiesel is not sold as transport fuel directly to consumers. Many firms suspended or scaled down production due to the ban. Biodiesel is considered a clean alternative to fuels such as petrol and diesel as it biodegrades fast, results in lower emissions and is made of renewable resources such as vegetable oil, animal fat or jatropha. Producers received a boost earlier this year when the West Bengal Pollution Control Board, or WBPCB, directed all telecom towers in the state to use at least 30% biodiesel in their generators from March. But the directive has been put on hold for four months as producers cannot guarantee regular supplies, said Biswajit Mukherjee, spokesperson for WBPCB. “Also, some gensets may need some modification to use biodiesel,” Mukherjee said. There are at least 26,000 telecom towers in the state, each consuming about 20 litres of diesel a day, said Mondal. Emami Biotech is also looking to supply biodiesel to towers in neighbouring Bihar, Jharkhand and Orissa. The firm produces 500 tonnes of biodiesel a month, while it has capacity to produce up to 300 tonnes a day. Emami uses the same production facility to refine vegetable oil to recover fixed costs, said Aditya V. Agarwal, a director at Emami Biotech. Besides being environment-friendly, biodiesel could be a cheaper alternative for telecom tower operators as well. Quippo-Wireless Tata Tele Info Services Ltd, or Quippo-WTTIL, one of the biggest telecom tower operators, said it welcomed WBPCB’s directive on using biodiesel compulsorily, but wanted producers to guarantee regular supply. “The use of biofuel...will have a positive impact on the environment and benefit companies with reduced energy charges,” a spokesperson for Quippo said in an email. Chaturvedi said distributing biodiesel to the towers may not be easy. “Because retail sale of biodiesel is prohibited, district authorities in many states have seized trucks carrying biodiesel even though the fuel was intended for sale to genset users only,” he said. The national biofuel policy, aimed at facilitating development of indigenous biomass feedstock for production of biofuels, has been cleared by the Cabinet. The draft of the policy was prepared by the ministry of new and renewable energy (MNRE), the coordinating ministry for biofuel development, last year. Setting up of a National Biofuel Coordination Committee to provide policy guidance has also been approved. It is to be headed by the prime minister. A Biofuel Steering Committee chaired by the cabinet secretary will also be set up to oversee the implementation of the policy. “The Indian approach to biofuels is based solely on non-food feedstock to be raised on degraded or waste lands that are not suitable for agriculture, thus avoiding a possible conflict of fuel versus food security,” a statement issued by MNRE read. Promotion of biofuels could meet India’s energy needs in an environmentally-sustainable manner, while reducing its import dependence on fossil fuels. The policy has proposed an indicative target of 20 per cent blending of biofuels — both biodiesel and bioethanol — by 2017. The government had already made 10 per cent ethanol blending with petrol effective from October last year. The biofuel policy has also proposed financial incentives — including subsidies and grants — for second generation biofuels like cellulosic ethanol and algal biodiesel. “If it becomes necessary, a National Biofuel Fund could be considered,” it says. The policy also mentions that a Minimum Support Price (MSP) for non-edible oilseeds would be announced with periodic revision to provide fair price to the growers. A Minimum Purchase Price (MPP) for purchase of bioethanol and biodiesel would also be announced with periodic revision. n a bid to reduce the country’s huge oil import bill, the government after much deliberation on Thursday gave its nod to National Policy on Biofuels besides giving approval for setting up of National Bio-fuel Coordination Committee and Bio-Fuel Steering Committee. Under the approved policy, the country aims to raise blending of biofuels with petrol and diesel to 20% by 2017. More than seven ministries and the Planning Commission have been debating about the biofuel policy for the last two years and a group of ministers (GoM) headed by agriculture minister Sharad Pawar had been anchoring the discussion prior to finalisation of the policy. Based on 2008 DOD statistics, 56 percent of the department’s fuel budget was designated for the U.S. Air Force, since it retains the largest number of aircraft. On an annual basis, “mobility” type fuel, used in aircraft, ships, and vehicles, typically accounts for 75 percent of total DOD energy consumption. In March 2010 President Obama announced energy policies which include continued development and use of advanced biofuels in the nation's fleet and military vehicles. This report examines how the military is using biofuel to reduce costs, curb emissions, and practice energy independence. Biofuel is any fuel that is derived from biomass - recently living organisms or their metabolic byproducts. It is a renewable energy source, unlike other natural resources such as petroleum, coal, and nuclear fuels. Biodiesel is a cleaner-burning fuel made from renewable fats or vegetable oils that can help increase U.S. energy security by reducing dependence on foreign sources of oil. President Obama announced that the Pentagon is pursuing the support of development of homegrown energy sources to protect national security. He calls for a goal of using 50% more alternative fuels in all Navy planes, vehicles and ships in the next 10 years. Federal mandate requires the Marines to reduce energy consumption by 30 percent by 2015. The greatest barrier to large-scale commercialization of biofuels is their relatively high cost of production. Because they are used primarily to replace gasoline or diesel, world petroleum product prices drive commercial viability of biofuels to a large extent. The Navy’s 2020 goal across land and sea operations is to cut fossil fuel usage by half, largely through the use of biofuels. By 2012 the Department of the Navy will demonstrate its new fossil-fuel independent Green Strike Group, using hybrid electric-diesel systems, nuclear power, and biofuels powering both fleet and aircraft. This report outlines U.S. Military efforts to bring biofuels into widespread use into all areas of its operations and branches. Learn which feedstock is regarded as the most promising and sustainable for producing biofuels. 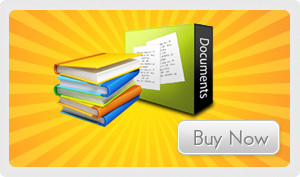 And discover what measures the military is taking to develop and support these sources. and human health effects attributes that current technology will allow.EPA has surveyed the large body of biodiesel emissions studiesand averaged the Health Effects testing results with other majorstudies. The results are seen in the table below. Sulfur emissions are essentially eliminated with pure biodiesel. The exhaust emissions of sulfur oxides and sulfates (major components of acid rain) from biodiesel are essentially eliminated compared to diesel. Criteria pollutants are reduced with biodiesel use. Tests show the use of biodiesel in diesel engines results in substantial reductions of unburned hydrocarbons, carbon monoxide, and particulate matter. Emissions of nitrogen oxides stay the same or are slightly increased. The exhaust emissions of carbon monoxide (a poisonous gas) from biodiesel are on average 48 percent lower than carbon monoxide emissions from diesel. Breathing particulate has been shown to be a human health hazard. The exhaust emissions of particulate matter from biodiesel are about 47 percent lower than overall particulate matter emissions from diesel. The exhaust emissions of total hydrocarbons (a contributing factor in the localized formation of smog and ozone) are on average 67 percent lower for biodiesel than diesel fuel. NOx emissions from biodiesel increase or decrease depending on the engine family and testing procedures. Nox emissions (a contributing factor in the localized formation of smog and ozone) from pure (100%) biodiesel increase on average by 10 percent. However, biodiesel’s lack of sulfur allows the use of NOx control technologies that cannot be used with conventional diesel. Additionally, some companies have successfully developed additives to reduce Nox emissions in biodiesel blends. Biodiesel reduces the health risks associated with petroleum diesel. New government policy on biofuels may consider financial incentives. Indian Oil Corporation (IOC), the country’s biggest oil marketing company, is looking to acquire 50,000 hectares of wasteland in Uttar Pradesh for plantation of non-edible oilseeds, such as jatropha and karanjia, that are used for biodiesel production. “We are in talks with the state government to acquire wasteland in the Lalitpur area near Jhansi. Plantation on this land will be done partly by IOC and partly through contract farming,” said B M Bansal, director (business development) at IOC. The company has already acquired 30,000 hectares in Chhattisgarh and another 2,000 hectares in Madhya Pradesh. “We have planted 1,000 hectares so far and aim to plant 10,000 hectares this year. Seeds from the plantations will start coming after three to four years,” he added. IOC has also entered into an MoU with Indian Railways for plantation of jatropha on railway land. The Union Cabinet last month approved a national policy on biofuels that aims to implement 20 per cent blending of biodiesel with diesel and ethanol with petrol (the current rule is 5 per cent) by 2017. The new policy may consider financial incentives such as subsidies and grants for biofuel production. The policy also envisages setting up of a National Biofuel Fund and a National Biofuel Coordination Committee headed by the prime minister. The government will also announce a minimum support price for such oil seeds. A minimum purchase price (MPP) for purchase of bioethanol and biodiesel would also be announced with periodic revision. The current rule on 5 per cent ethanol blending with petrol is still not successful. Ethanol is being produced by sugar mills from molasses, a byproduct of sugar. The research and development division of IOC has perfected a process to produce biodiesel from various non-edible oils, especially from jatropha and karanjia. The biodiesel produced has been tested for its properties and meets the stringent international standards. Extensive field trials have been conducted by IOC using five and 10 per cent biodiesel blends in collaboration with Indian Railways and Haryana Roadways. A reduction of 10-15 per cent in smoke density has been observed with the use of biodiesel blends. Biofuels are derived from renewable bio-mass resources and help promote sustainable development. Beside supplementing conventional energy sources in meeting the rapidly increasing requirements for transportation fuels associated with high economic growth, as well as in meeting the energy needs of India’s vast rural population. The Indian Railways’ Research Design and Standard Organization (RDSO) has successfully developed and tested biodiesel-based locomotive engines, in its bid to scout for renewable and environment friendly fuels. Lucknow-based RDSO is the railway’s sole research and development facility in the country, whose executive director (engine development) Shishir Dutta was in the city to attend an energy conclave at the Indian Institute of Technology-Kanpur (IIT-K). Dutta said the railways operated around 8,000 engines everyday for various transportation purposes, of which almost 4,500 were run on diesel. “We have been working on the idea of developing engines capable of running on alternative fuels since past five years and have finally gained success after a positive trial run last September,” he said. The development is being viewed as a milestone as it would enable the consumption of large amount of biodiesel being manufactured by various companies in the country, which can easily serve as an eco-friendly alternative to the fossil fuels, which apart from being polluting, are fast getting depleted and are also expensive. “The government has been serious regarding the issues of global warming and the step is an initiative towards cutting the carbon emissions in the country,” explained Dutta. He also said the biofuel would be amalgamated with the presently used fossil fuels in a gradually phased manner over a period of three years, after witnessing the long term effects of the switchover. “In the first phase we will mix up to 10 per cent and graduate to 20 per cent in second phase and reach the maximum limit of 50 per cent amalgamation after three phases. The present engines will be altered to run on the substitute fuel, so as to save the costs of manufacturing new units,” Dutta elaborated. One locomotive generally needs around Rs 5 crore investment for its manufacture, while the altering expenses will be marginal, running just into few lakhs rupees. The initiative, however, is currently not expected to bring about any cost reduction as the prices and production cost of bio-diesel is almost similar to the conventional fuels. THAILAND - Thai Airways says it will be the first airline in Asia to fly a commercial passenger flight powered by Biofuels, when its plane takes off on 22 December, travelling from Bangkok to Chiang Mai. The airline will also fly a non-commercial flight the day before under the airline’s ‘travel green’ scheme which it is operating under part of its corporate social responsibility programme. The plane will be a Boeing 777-200 aircraft and people from various organisations such as PTT, Aeronautical Radio of Thailand, Department of Civil Aviation, Rolls Royce, and Boeing will be there to see the aircraft takeoff. In the past, support for biofuels has been given to Thai Airways from petroleum producers, research firms, educational institutions, aircraft and engine manufacturers, and different government bodies affiliated with the aviation industry. INDIA - The renewable energy ministry headed by Mr Farooq Abdullah has expressed concern over oil lobbies challenging the idea of ethanol blending and increased use of biofuels. "We are thinking of making ethanol blending mandatory in the National Bio Energy mission. We hope to make this mission as successful as the national solar mission, and for this, we need to tackle issues like lack of business model, obsolete technology, awareness and connectivity in rural areas, etc." said Mr Abdullah, speaking at the Bioenergy Summit 2011, organised by the CII. The minister said industries should come up with business models suitable for the Indian market, and help nurture bioenergy in the country, reports Steel Guru. The biofuel companies, however, assert that the need of the hour is a government framework, which can boost the biofuel market. The National Bioenergy mission that will be launched during the next five year plan aims to provide policy and regulatory support to help large-scale capital investments in biomass fired power stations and also promote increased use of biofuels. The surplus biomass in the country is estimated to be 150 million tonnes. MEXICO - Chiapas state government will propose to build a bio-jet fuel production plant in January 2012. Should the plans be granted approval, the plant would help Mexican airlines achieve their blending targets for aviation fuel; in 2015 the government wants 1 per cent of renewable jet fuel to be blended with traditional aviation fuel. This will increase to 15 per cent by 2020. The plant is estimated to cost between $40 and $80 (€30-59 million) to construct, depending on how much fuel it will need to produce to meet demand. The government could break ground on the facility by mid-2012, with construction expected to take 12 months. US - Yesterday U.S. Navy Secretary Ray Mabus and U.S. Department of Agriculture Secretary Tom Vilsack announced that the Defense Logistics Agency (DLA) signed a contract to purchase 450,000 gallons of advanced drop-in biofuel, the single largest purchase of biofuel in government history. While the Navy fleet alone uses more than 1.26 billion gallons of fuel each year, this biofuel purchase is significant because it accelerates the development and demonstration of a homegrown fuel source that can reduce America's, and our military's, dependence on foreign oil. The Defense Department will purchase biofuel made from a blend of non-food waste (used cooking oil) from the Louisiana-based Dynamic Fuels, LLC, a joint-venture of Tyson Foods, Inc., and Syntroleum Corporation, and algae, produced by Solazyme. The fuel will be used in the U.S. Navy's demonstration of a Green Strike Group in the summer of 2012 during the Rim of the Pacific Exercise (RIMPAC), the world's largest international maritime exercise. "This contract clearly demonstrates that we're building momentum for the continued commercialisation of advanced renewable fuels production here in the U.S.," said Andy Rojeski, a management committee member for Dynamic Fuels, a joint venture between Tyson Foods, Inc. and Syntroleum Corporation. "We believe the federal government's commitment to procure more energy from renewable sources will help make our high performance, environmentally friendly fuel more cost competitive, potentially creating more jobs in the biofuels industry." "This historic contract is a major step forward for America's energy security and the advanced biofuel industry in our country. Solazyme has delivered more than 360,000 litres of 100 per cent algal derived renewable diesel to the U.S. Navy for their fuel certification program to date. The United States leads the world in advanced biofuel technology, and the Departments of Agriculture, Energy and the Navy have been instrumental in coming together to spur commercialization and grow our lead," said Jonathan Wolfson, CEO, Solazyme. "We are honored to be working with the U.S. Navy and DLA-Energy in driving forward the Navy's effort under Secretary Ray Mabus to source 50 per cent of its energy from renewable sources by 2020. And we are proud to be teaming up with Dynamic Fuels on this contract." INDIA - Ruchi Soya, an oilseed company, with a Rs 13,000-crore turnover, wants to replicate the experiment done by New Zealand — of using biodiesel as an alternative green fuel from Jatropha plants, to successfully fly airplanes. For this purpose, the Indore-headquartered company has already acquired Uttaranchal Biodiesel Ltd, an Uttarakhand government’s joint venture company to promote cultivation of Jatropha plants for extracting biodiesel in the hill state as reported by Business Standard. The company is currently holding talks with the state government for the revival of a biodiesel plant at Roorkee area of Haridwar district. Uttaranchal Biodiesel Ltd, which was acquired by Ruchi Soya for Rs 30 crore, has been lying defunct since its inception in 2004, following an alleged scandal that rocked the state in the past over the plantation of jatropha. Under the joint venture, the plant was set up near Roorkee area for producing biodiesel from jatropha, which was to be cultivated at two lakh hectares of degraded/waste land in the state. INDIA - A research project in India has fuelled a Chevrolet diesel Tavera on a 20 per cent biodiesel blend made from marine micro algae. The project was part of the New Millennium India Technology Leadership Initiative (NMITLI) with researchers from the Ministry of Earth Sciences (MoES) and Council of Scientific and Industrial Research (CSIR). The Central Salt Marine and Chemical Research Institute found the microalgae growing naturally on the western coast, according to a report on Rush Lane. The B-20 biodiesel to operate the diesel Tavera was prepared from these microalgae mats and the test drive recorded a mileage of 12.4 km better than the 10-11 kms recorded by diesel run SUV’s. The aim is now to run the test vehicle on B-100 (neat biodiesel) marine micro algae biodiesel and evaluate economic viability. ASSAM, INDIA - A special scheme to promote Jatropha (Bhot Era) cultivation in Assam has been taken by the Department of Agriculture, Assam for production of biodiesel. Altogether 137.4 ha area will be covered under this crop, covering 9 districts, namely, Barpeta, Kokrajhar, Kamrup, Darrang, Sonitpur, Nagaon, Marigaon, Karimganj and Hailakandi. Moreover, 26 demonstrations will be conducted for motivation of farmers. The cultivation will be done in waste land of Assam, AssamTimes reports. In this connection, a State Level Workshop on Biodiesel Production Technique from jatropha crop was held at R & D Centre, NeDFi, Khetri, Kamrup yesterday, 9 June, organized by the Department of Agriculture, Assam , with the technical support from the NEDFi. Nilamoni Sen Deka, Minster for Agriculture, Horticulture & Food Processing, Assam attended in the workshop as chief guest and given stress for sustainable agricultural development in Assam . He assured the farming community that, state government will extend all possible help for the benefit of the farmers. Dr Moniruddin Ahmed, Scientist, Dr Dwipen Dutta,Scientist, Panchanon Saikia, JDA(Pulse), Nripen Medhi, SDAO and Keshab Barua, President, Pathar Parichalana Samity participated in the workshop as resource person. KARNATAKA, INDIA - Five hundred government buses in Mysore are proposed to be run on biodiesel starting from this current financial year as per proposals cleared by Karnataka Cabinet. Deccan Herald reports that it is part of the central government sponsored Sustainable Urban Transport project. The Centre would fund Rs 17.5 crore of the more than Rs 19 crore project for Mysore. Under the initiative, an intelligent transport system project would be also be taken up in Mysore involving 500 buses, which would give information in advance to commuters like departure and arrival times and the next bus stops, state's Law Minister S. Suresh Kumar told reporters in the state. The buses are proposed to be run on biodiesel under the "Innovative Environmental System" initiative, he said. Under these initiatives to be taken up over an 18-month period, 105 bus stops and six bus terminals (45 platforms) would be covered in Mysore, Mr Kumar said. INDIA - The government in Uttar Pradesh government is to plant 1,000 hectares in Bahraich district with jatropha for biodiesel. The government says the project will help to supplement farmers' incomes. A report in the Business Standard says that the farmers would be able to sell jatropha seeds to companies to produce biodiesel for mixing with fossil fuel. The government has joined forces with Biotech Park, Lucknow,to prepare the nursery under Jeevan Jyoti Pariyojna of the rural development department, the report says. The Mahatma Gandhi National Rural Employment Guarantee Scheme (MNREGS) will pay for the original jatropha plants. The government hopes that in five years the nursery will be in full production and the centre will be mixing 20 per cent biodiesel with fossil fuel. The Biotech Park has already supplied about 600,000 jatropha plants to Sultanpur, Rae Bareli, Kanpur, Jhansi and Chitrakoot districts. INDIA - Transforming agricultural waste into biofuel could create up to one million jobs in India over the next decade, while radically improving India’s energy efficiency by meeting up to 59 per cent of the demand for transport gasoline through greener fuels by 2020, according to a new study. The Indian Government has already announced an ambitious target of 20% of biofuels in transport by 2017 as part of its Indian Biofuels Policy. The Bloomberg New Energy Finance study "Next-generation Ethanol: What’s in it for India” commissioned by Novozymes was presented at en event organised under the aegis of the Danish Embassy in India in cooperation with the Ministry of New and Renewable Energy. India is the world’s 6th largest consumer of energy with current consumption of 17.3 billion litres per year of gasoline. Demand is expected to grow 8.5% every year till 2020. Assuming a barrel of crude oil costs $100, India will spend $19.4 billion on importing gasoline by 2020. Expanding on the potential of advanced biofuels, Thomas Nagy, Executive Vice President, Novozymes, said: "By converting agricultural residues into fuel ethanol, India has the potential to reduce its dependence on imported petroleum. What’s more interesting is that this can be achieved without changing today’s agricultural land-use patterns or cultivating new energy crops. In addition, we already have the technology ready for deployment.
" Unlocking the Indian biomass potential would create around a million aggregated jobs between 2010 and 2020, thus providing the much-required impetus for inclusive growth by providing employment in rural India. While the potential is high, the report states that issues like lack of policy implementation, absence of any incentive for collection of agriculture residue (only 25 per cent of the waste is recovered from the fields) and requisite infrastructure need to be addressed for the optimum development of India’s advanced biofuel potential. The report stresses that the emergence of a dynamic bioethanol industry depends on policy-makers putting in place India-wide mandates, coherent and innovative policies at the centre and state levels, with solid policy incentives that actively encourage value chain stakeholders to make the necessary behavioral changes and investment decisions. Clear-cut policies and legislation with penalty for non-compliance will stimulate the growth of the biofuels sector. INDIA - The state department of science and technology is establishing a biodiesel plant here for extraction of jatropha oil and its conversion into biodiesel. According to IndianExpress.com, the plant, funded by the department of science and technology, Government of India, will be the first government-funded biodiesel plant in Uttar Pradesh. Established in the Biotech Networking Facility Center, run by the state’s department of science and technology near Bakshi Ka Talab area of Lucknow, the basic aim of the plant will be to train farmers by giving them first hand-experience in biodiesel production. The facility can also be used by farmers who do large-scale jatropha farming to extract diesel from the oil. “The plant is not a production unit, but rather a demonstration unit, which will enable farmers to know how to extract jatropha oil and then convert it into diesel for their usage,” said BL Meena, Principal Secretary, Department of Science and Technology, Uttar Pradesh. INDIA - SG Biofuels is expanding operations into India and has named Subhas Pattnaik as director of operations for the market. Mr Pattnaik formerly led operations for Mission New Energy in India where he managed the rollout and operations of the largest Jatropha plantation acreage in the world spanning more than 200,000 acres, 124,000 farmers and five provinces. SG Biofuels is a bioenergy crop company using breeding and biotechnology to develop elite hybrid seeds of Jatropha. Mr Pattnaik will play an instrumental role for SG Biofuels in India, including overseeing the development of multiple JMax™ Jatropha optimisation centres to test and adapt elite hybrid cultivars of Jatropha from its extensive genetic library to a range of growing conditions in the country. "India represents a significant yet untapped market for Jatropha and we are privileged to have Subhas, with his extensive experience managing Jatropha plantations throughout the country, leading our operations," said Kirk Haney, president and chief executive officer. "We are excited about the opportunity to bring our hybrid Jatropha varieties to India to help fulfill the vast potential of the crop meet the country's significant demand for sustainable plant oil." "While Jatropha holds tremendous promise as the primary feedstock for biofuels in India, its success is dependent upon the development of improved planting material with higher, more consistent yields than what is being realized today," said Subhas Pattnaik. "With its extensive and diverse library of genetic material, applied plant genetics and crop improvement platform, SG Biofuels has the right approach to realise the crop's potential in India.
" Mr Pattnaik has more than 14 years of experience in agribusiness, including leadership positions at Aditya Birla Retail Ltd and DuPont India, where he was instrumental in initiating DuPont's Cotton Solution Project in India to provide a complete agribusiness solution to cotton farmers. While at DuPont, he was certified as Six Sigma Black Belt following training at DuPont USA. Through the JMax Jatropha Optimization Platform™, SG Biofuels provides a custom crop improvement program featuring access to the highest yielding and most profitable Jatropha in the world, the sequenced Jatropha genome and advanced biotech and synthetic biology tools to optimize elite, high-performing seeds of Jatropha for unique growing conditions. INDIA - The Karnataka State Road Transport Corporation could soon be using biofuel as the standard fuel in all its buses. According to a report in the Deccan Chronicle the transport company has been using biodiesel in about 1,000 buses since 2006 as a trial. Now the company says it wants to extend the use to the whole fleet. The corporation is currently using a blend of biodiesel with 7.7 per cent ethanol, 91.8 per cent diesel and 0.5 per cent solubiliser. The company found that there was no drop in power or fuel efficiency and emissions were reduced by over 55 per cent with the blended fuel. Theoretically, KSRTC can use ethanol-blended fuel for all its buses, but it has to conform to a government regulation that says that only fuel certified by the Bureau of Indian Standards can be used in vehicles in India. The extension of biofuel use will also depend on the OEM (original equipment manufacturer) suppliers’ warranty on new vehicles. The use of the biofuel is expected to reduce the fuel costs for the corporation. INDIA - Eco Green Fuels' first commercial biodiesel plant was inaugurated in Bangalore at the weekend by Chief Minister B S Yeddyurappa and Bhartiya Janata Party national president Nitin Gadkari. A two day conference on bioenergy is also being organised to look at the development of biofuels in the state according to a report in the New Indian Express. The new plant will have a capacity to produce 5,000 litres of biodiesel a day and according to Julesh Bantia, director, Eco Green Fuels Pvt Ltd, the company is planning to increase the capacity. INDIA - Indian Railways has put forward plans to set up four biodiesel plants costing about Rs 1.2 billion. According to a report in the Indian Economic Times, two of the plants are to be built at Raipur and Chennai during the next two years, the other two units will be built later. Each plant is expected to cost Rs300 million and will produce up to 30 tonnes of biodiesel a day. The plants will use waste oil, fatty acid and non-edible vegetable oil as a feedstock and the biodiesel will be blended with the HSD oil for running the trains the report says. The use of biodiesel is expected to ear the railways Rs20 million a year in carbon credits. The Railways currently consumes 2.2 billion litres of diesel a year. Indian Railway Organisation for Alternative Fuels has been formed to take up projects to introduce alternative fuels such as CNG and biodiesel. 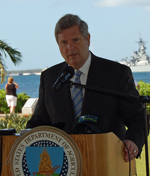 With the Pearl Harbor memorial as a backdrop and a Pacific Biodiesel hat on the podium, Agriculture Secretary Tom Vilsack Tuesday highlighted the use of biodiesel by the U.S. Navy. 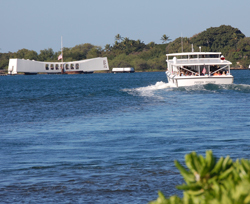 Pearl Harbor naval base was the first Hawaii military marine fleet to use biodiesel, replacing the Department of Navy-operated tour boats that shuttled visitors to and from the USS Arizona Memorial with five new boats capable of running on 100% biodiesel. Biodiesel blends operate trouble-free all winter in cold climates in vehicles, buildings and even homes. All you need to be successful is high-quality fuel and good fuel management, according to the National Biodiesel Board. The largest municipal user of biodiesel, New York City, uses biodiesel blends in snow removal equipment. The New York City Parks & Recreation Department was the first city agency to pilot biodiesel in 2005 and still uses B20. The 850-vehicle strong diesel fleet helps to maintain more than 29,000 acres in New York City. The fleet includes more than 40 different types of vehicles and equipment – handling everything from snow removal to landscape and parks maintenance to road construction and waste management. The New York City Sanitation Department also uses biodiesel blends in vehicles used to fight winter weather, such as salt spreaders and plows. “We can’t afford for our garbage trucks not to run,” said Supervisor of Mechanics Spiro Kattan. “Our trucks don’t only pick up garbage, they are also equipped with snowplow hitches. We’re a part of the city’s snow emergency plans and the residents of New York City would not be too happy if our vehicles went down during a snow storm.” Further, JFK International Airport uses B20 to keep runways clear even in the worst of snowstorms. In addition, New York City enacted a groundbreaking law requiring that all heating oil sold in the city contain at least two percent biodiesel beginning in October 2012. Bioheat is already keeping many homes and offices warm this winter, including New York City Parks’ buildings. Comment on this post Posted by Cindy Zimmerman/During a visit to highlight renewable energy use by the U.S. Navy at Pearl Harbor, Agriculture Secretary Tom Vilsack also spotlighted the Hawaii-based biodiesel producer that supplies much of the fuel used there. Pacific Biodiesel “is the oldest biodiesel producer and refinery in the country, started in 1996,” said Vilsack during his remarks on Tuesday at the memorial, noting that USDA has provided assistance to help that company grow. That loan, announced in February 2010, is being used to construct a $10 million, 5.5 million gallon per year biodiesel production plant in Kea’au on the Big Island. Pacific Biodiesel vice president and co-founder Kelly King says Big Island Biodiesel will be the companies 13th biodiesel plant. “We’ll be owning and operating five of them, the other ones we built for clients throughout the mainland, from the east coast to the west coast,” she says, with capacity ranging from a half million to six million gallons. “We started in Maui, where we actually had the first available biodiesel pump for the public,” said King. “Back then, most of our customers were environmental hippies who would come and pay 70 cents a gallon more for fuel and thank us and tell us to keep the change!” King says Pacific Biodiesel operates on a community-based sustainable model set up locally to benefit local communities. US - BlackGold Biofuels and SLM Facility Solutions Nationwide have joined forces in the US to turn used cooking oil (UCO), derived from restaurants, into Biofuels. The process will cost the hospitality companies no extra money to deliver the UCO to the facilities, and then BlackGold Biofuels will extract and recycle the grease, turning it into biodiesel. SLM has links to the hospitality industry, which it will use to consolidate the grease trapping process and jetting services for commercial kitchens. At the moment in the US, UCO is often shipped to landfill or disposed of on fields. Although it could be used for heavy industrial fuel, the Environmental Protection Agency (EPA) limits the amount of fuel sulphur that can be released into the atmosphere, so this process is not readily used. BlackGold’s chemical process meets ASTM and EPA specifications, with about 80% of the energy content from the waste being recycled. Currently SLM has more than 15,000 clients around the US which it will direct to BlackGold recycling facilities that are close enough to their locations to make the journeys cost-effective. BlackGold is also building some more recycling centres around the southeast and mid-Atlantic regions of the US which will lower the cost of freight. Emily Landsburg, CEO of BlackGold Biofuel, says: "In partnership with SLM, we have identified both the most cost effective and best use for wastewater materials, eliminating confusion and headaches for kitchens and waste-haulers." US - The Illinois state government has extended the tax credit for biodiesel for an extra five years, until 2018. Senate Bill 397 on Tuesday passed the full Illinois Senate by a vote of 44-9. The bill extends the sunset date for the biodiesel state sales tax incentives to December 31, 2018. With the extension, any biodiesel blend of more than 10 per cent continues to be eligible for fuel tax exemption. “On behalf of our employees, vendors and customers, Renewable Energy Group applauds the Illinois legislature for promoting green collar jobs, Illinois agriculture, rural economic development and sound environmental policy,” said the company’s President & CEO Daniel J. Oh. REG markets biodiesel from its REG Danville (45 mmgy capacity) and REG Seneca (60 mmg capacity) facilities as well as several Chicago-area terminal locations. “Since Illinois’ inception of the B11 blending credits in 2004, more biodiesel has been blended in Illinois annually than in any other state. By extending the biodiesel tax abatement for B11 and higher blends through 2018, the Illinois legislature showcases its commitment to more than 1,500 green collar jobs in the state,” said Oh citing data from a recent Illinois biodiesel economic impact study by CardnoENTRIX. US - The federal Renewable Fuel Standard program (RFS-2) has mandated significant use of “biomassbased” diesel in the United States. The Texas Commission on Environmental Quality (TCEQ) has concluded that the volumes of biodiesel blended in the Texas Low Emission Diesel (TxLED) market to meet these requirements will have no measurable negative impact on Texas’ air quality. Consequently, TCEQ now allows biodiesel to be added to any TxLED compliant fuel, at any ratio, without additional additisation. ARGENTINA - Argentine biodiesel exports rose more than 58 percent to $1.9 billion in 2011 compared with the year before, the country's main biodiesel industry group has announced. In volume terms, biodiesel exports from the South American country shot 18.5 per cent higher to 1.6 million tonnes, according to a statement from the Argentine Biofuels Chamber, CARBIO. Argentina is the world's top biodiesel exporter, according to Commodities Now. The fuel is made with soyoil, which is produced in abundance in the agricultural powerhouse. "In 2011 new plants were built and expansion projects were begun," the statement said, "which will bring Argentine production capacity to close to 3.2 million tonnes in 2012." It said the country will have produced 2.4 million tonnes of biodiesel in full-year 2011. All regular diesel sold in Argentina must contain seven per cent biodiesel, a level that industry leaders want the government to increase to 10 per cent. Argentine farmers are close to finishing the planting of their 2011/12 soy. Agriculture Ministry authorities say the crop could come in at between 52 million and 53 million tonnes. US - The US Environmental Protection Agency (EPA) has finalised the 2012 percentage standards for four fuel categories that are part of the agency’s Renewable Fuel Standard program (RFS2). EPA continues to support greater use of renewable fuels within the transportation sector every year through the RFS2 programme, which encourages innovation, strengthens American energy security, and decreases greenhouse gas pollution. The Energy Independence and Security Act of 2007 (EISA) established the RFS2 program and the annual renewable fuel volume targets, which steadily increase to an overall level of 36 billion gallons in 2022. To achieve these volumes, EPA calculates a per centage-based standard for the following year. Last spring EPA had proposed a volume requirement of 1.28 billion gallons for biomass-based diesel for 2013. EISA specifies a one billion gallon minimum volume requirement for that category for 2013 and beyond, but enables EPA to increase the volume requirement after consideration of a variety of environmental, market, and energy-related factors. EPA is continuing to evaluate the many comments from stakeholders on the proposed biomass based diesel volume for 2013 and will take final action next year. Overall, EPA’s RFS2 program encourages greater use of renewable fuels, including advanced biofuels. For 2012, the program is implementing EISA’s requirement to blend more than 1.25 billion gallons of renewable fuels over the amount mandated for 2011. IOWA, US - Iowa more than tripled its biodiesel output in 2011, producing a total of 169 million gallons, the Iowa Renewable Fuels Association said yesterday. It was "a banner year for Iowa biodiesel," said Monte Shaw director of the trade association. "The reinstatement of the biodiesel tax credit combined with the renewable fuels standard jumpstarted demand and Iowa was quick to respond.
" Unfortunately, he added, the biodiesel tax credit is do to lapse again at the end of 2011. "With the renewable fuel standard firmly in place, we do not expect the industry to completely shut down as it did in 2010," Mr Shaw said. He called on Congress to act quickly ink 2012 to extend the tax credit. After the tax credit disappeared earlier, 2010 was a year of cutbacks, Mr Shaw said, with Iowa plants producing only 48 million gallons, down from 85 million gallons in 2009. But in 2011, several plants reopened, with 10 of the state’s 13 plants pumping out fuel, according to DesMoinesRegister.com. When fully operational, Iowa’s 13 plants are capable of producing 320 million gallons a year. INDIA - The chairman of the Karnataka State Biofuel Development Board in Bangalore helped lay the foundation for the first of a proposed 13 new biofuel research centres in the district. Mr Y B Ramakrishna spoke during the foundation laying ceremony at the Bangalore University of Agricultural Sciences, reports Biofuels International. "Thirteen new centres will be added to the 17 existing information outlets, but these new centres will be designed to collect different types of non-edible seeds and turn them into between 100 and 150 litres of bio-diesel per day," Mr Ramakrishna said. Mr Ramakrishna believes the biodiesel produced will be blended with both petrol and diesel to be used in many different vehicles, plus the de-oiled mix will be used as organic manure. "Currently Karnataka has the capacity to produce 135 million litres of ethanol from molasses, which should be increased to 200 million by the end of this year. I also appreciate the government’s efforts in promoting biofuels," Mr Ramakrishna added. INDIA - World Health Energy Holdings has signed a letter of intent with Prime, an Indian industrial and transport company, to build a biodiesel production facility on a budget of $100 million (€75 million). The development will be built on 250 acres and Prime has tested batch samples of spirulina algae which it plans to cultivate under the project, for biodiesel production. The proposed areas for the development are in Tamil Nadu and Karnataka, India and once built the facility will use 'algae enhancement technology', also known as the GB 3000 system, to grow algae for the production of biofuel. Liran Kosman, CFO of World Health Energy, said: "We anticipate scaling up operations and completing a number of significant algae projects in 2012. It is exciting to see that our customers are not only impressed with the competitive cost of our systems, but are also surprised by the high quality of the algae we grow for high yield biofuel production.
" The cultivation system has already been used to grow a combination of local algae species, such as chlorella, which can be used to produce biodiesel. GNE-India owns and retains the territorial rights for distribution and sales of the proprietary technology to both India and Sri Lanka. The company has exclusive distribution and licensing rights to the GNE GB 3000 system in India and Croatia. INDIA - JOil (S) Pte. Ltd., a scientific bioenergy crop developer of a new generation of jatropha, has achieved first-year yields in its India field trials of more than two tonnes of seeds per hectare. The results from marginal land plots in the Indian state of Tamil Nadu are a significant advancement compared to current jatropha plants that typically do not flower or fruit within the first year. Dr Hong Yan, Chief Scientific Officer of JOil, said: "Our [JO S1 and JO S2 varieties] seedlings started flowering three months after planting and in five months yielded their first harvest of fruit. Most current jatropha plants have no fruiting in the first year after planting and any first-year yields are negligible. Dr Hong added: "We put the JO S1 and S2 seed into trials in multiple locations around the world for local climate adaptation and field performance evaluation. "After 12 months, we achieved the first-year harvest on two plots of marginal land more than 200 km apart in Tamil Nadu, South India. "Given that jatropha matures and reaches peak yield in three to four years, this shows that the JOil open pollinated varieties have the potential to reach mature yields of more than five tonnes of seeds per hectare at which point the production of jatropha seed reaches a level that allows it to be a sustainable feed stock for large-scale commercial production of bio diesel for airlines and motor transport fleet operations.
" In the recent trials, JOil obtained 2.4 tonnes of seeds per hectare at a plantation near the city of Coimbatore. The other trial in the city of Madurai produced 2.15 tons of seeds per hectare. The two elite jatropha varieties tested have demonstrated better uniformity, improved selfbranching and early flowering compared to existing commercial varieties and wild types of jatropha planted in similar conditions. All these traits have contributed to early establishment and good productivity for the first year. The JO S1 and JO S2 seedlings, along with the other JOil varieties are undergoing field trials at a number of places across Asia. Plans are in place for an expanded programme that will include African locations. Presently tests are carried out by JOil in two states of India and in West Java. JOil's partner Toyota Tsusho is conducting trials in the Philippines and Cambodia. Dr Srinivasan Ramachandran, Chief Technology Officer of JOil said: "In all these trials, JOil's open pollinated seedlings have shown excellent growth, uniformity, early flowering and fruiting. "We are embarking on an expanded field trial programme that will see our elite jatropha grown in Kenya, Tanzania, Egypt, China, Malaysia and Viet Nam." He added: "Multi-location trials help us evaluate the performance of our elite varieties and help identify which ones work best in different agro-climatic environments." JOil said it is committed to continuously improve jatropha through breeding, tissue culture and genetic modification to achieve higher oil yield and quality. At the INSULA/RSB Conference in December last year, Dr Hong Yan, announced that JOil's efforts on jatropha improvement through application of biotechnology will lead to tripling productivity over the next seven to eight years to a target yield of more than three tonnes of seeds per hectare. In April this year, Qantas made its first flight using a 50-50 blend of refined cooking oil and regular jet fuel. Qantas chief executive Alan Joyce told the Australian: “We need to get ready for a future that is not based on traditional jet fuel or frankly we don’t have a future … And it’s not just the price of oil that’s the issue – it’s also the price of carbon”. Australia’s tax on carbon emissions is scheduled to come into force on 1 July 2012. The black gold of petroleum is taking a back seat. Bioethanol produced mainly from sugarcane replaced 40% of gasoline used in Brazil in 2008, with the introduction of flex-fuel vehicles allowing high-blending of bioethanol with petrol (all petrol blends in Brazil contain 25% bioethanol). The first generation of biofuels was produced from starches, sugars and oils of agricultural crops, including corn, sugarcane, rapeseed and soybean.